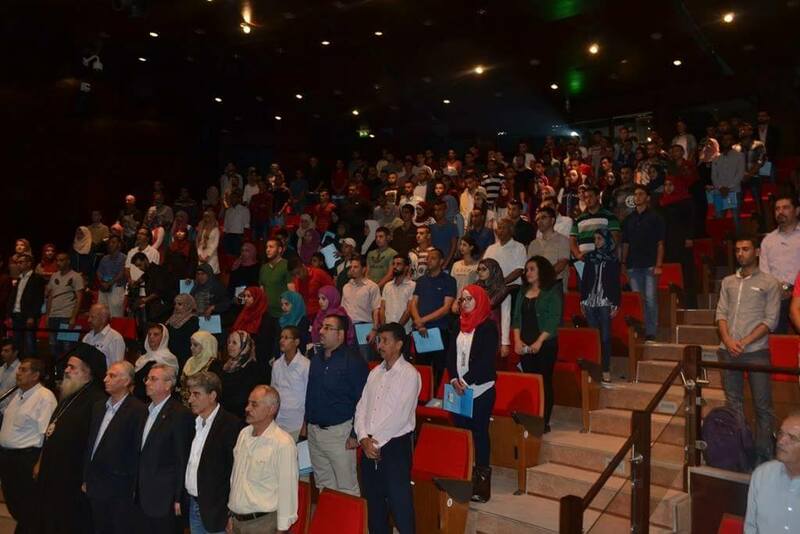 After one year of coordination and planning, yesterday the Palestinian Youth Forum (PYF) gathered for the first time. Over 250 young people from all over the West Bank met in Ramallah, Jerusalem to discuss a common vision on the Palestinian struggle and coordinate common further action. Coming from different political experiences and perspectives, the Forum testifies a foundational moment to overcome the differences and divisions tearing apart the Palestinian struggle and unify within differences, the Youth as the most valuable agent of resistance. The working committee to make the Palestinian Youth Forum happen started one year ago, when a preparatory committee was selected and tasked to do the logistical and political follow up. The working committee wanted to gather as many young people as possible to open up a debate on how the Palestinian struggle could be jointly pursued to work in cooperation. The works started thanks to the help of established grassroots movements, such as Stop the Wall, the farmer’s union and the Land defence coalition. Nevertheless, since the beginning the priority was to build an independent youth forum. The youth forum had to be supported by but free from the influences and visions of the old establishment. After one year of workshops and meetings, eventually the Palestinian Youth Forum took place in Ramallah, Jerusalem, Sunday 25th September 2016. The audience composition was varied: independent groups, young activists from all political parties, independent activists all gathered to lay the foundations a common platform of understanding and coordination for the various youth activities and initiatives in the West Bank, including Jerusalem. The conference was opened by the youth preparatory committee, followed by greetings from Stop the Wall and Atallah Hanna. Some representatives of leftists’ political parties addressed the PYF too, among them Bassam Saleh and Mustafa Bargouti, followed by cultural performances. The second part of the conference, was centered on the discussion on how to build the Palestinian Youth Forum. 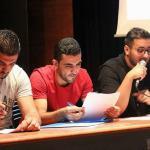 Papers compiled by the preparatory committee facilitated the discussion on the mission, vision, structure, decision making and membership the newly-born Palestinian Youth Forum wants to have. The discussion was participated and not always easy, testifying the participants’ commitment to and faith in the project. Documents have been amended and further steps to be taken have been approved. Due to its inclusive principle, the Palestinian Youth Forum still has important steps to do. The definition of the identity of the PYF will in fact be concluded only after workshops around the Palestinian districts of the West bank. Is the PYF going to be a leftist, progressive or national in its self-definition? Also the PYF will have to agree on workplans and strategy on two core campaigns: the olive harvest and the right to water campaign. The former will mobilise voluntary work and coordinate three main activities to have during the olive harvest. The latter is the other priority of the PYF at the moment and targets Israel's water apartheid and Israel's national water company Mekorot as the main executor of Israel's state policy to use theft of water as a means for discrimination and ethnic cleansing. The two initiatives will be a starting point on which to build future activities and actions of the PYF.